What if you keep going with your preparations and you don’t know where to stop? There must always be a destination whenever you set something as your goal. If you want to achieve success in your life, then chalk out your plan of action for whatever you wish to do. Planning will make your tasks easier. As per the recent news, Indian Institute of Technology, Roorkee will organize the JEE Advanced 2019 exam on 27th May 2019. JEE Advanced 2019 Examination will be conducted in fully computer based test mode. If you’ve set JEE Advanced Exam as your success destination, then you must have the complete schedule of JEE Advanced 2019 Dates. To help you well with the complete calendar & exam information, we have come up with the tentative JEE Advanced 2019 Date based on the Experts Predictions. Read the entire blog & upgrade your knowledge bag with JEE Advanced Latest News. Download the Updated JEE Advanced 2019 Syllabus & List of Important Topics for All Subjects. Click Here to Get FREE PDF. Know How Much Eligible you are? Read the Eligibility Criteria for JEE Advanced 2019! 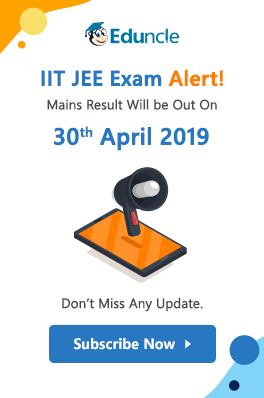 IIT JEE Advanced 2019 Date & Notification – Set Alert for the Important News! When will the JEE Exam be conducted? When will its online application process begin? What will be the date of JEE Advanced 2019 Admit Cards release? All such disturbing questions may surround you for a while but with the below-given calendar & schedule of IIT JEE Advanced 2019 Exam Dates, you can keep them all away from you! Let’s have a look at the JEE Advanced 2019 Date-sheet given below! Did we miss any important IIT JEE 2019 Exam Date? Please let us know in the comments box below! Tip: To ensure that you don’t forget these IIT JEE Advanced Important Dates, bookmark the page or pin it to your tabs so that you can keep visiting this page regularly. IIT JEE Advanced Latest News & their associated JEE Advanced Exam Date 2019! Attention Aspirants, Some Important Notifications Coming Your Way! The Eduncle Team tries out every possible way to prevent you from the haphazard activities that can be declared anytime by the official authorities. In the below section, we are coming up with the wrapped version of JEE Advanced Latest News & Exam Dates. Let’s check out what’s there that really counts amongst various IIT JEE Advanced 2019 Exam Dates! JEE Advanced 2019 Registration is expected to begin from 03rd May 2019. JEE Advanced 2019 will be held on 27th May 2019. Exam date has been shifted due to General Elections 2019. One of the IITs is responsible to conduct and declaration of the JEE Advanced Result. B-Arch aspirants who qualify the JEE Advanced can give the exam of AAT 2019 which will be held on 17th June 2019. The counselling schedule will be started from June 2019. Candidates who would write AAT can fill their choices after declaration of AAT results. Candidates can upload their corrected/new/proper certificates by logging into the Candidate Portal. If candidates paid fee multiple times while filling the JEE Advanced Registration 2019 and wishes to get the Refund, candidates must enter the details of multiple transactions by in June as per the IST. For registration click on the Candidate portal given above. The candidates can check out all the latest updates from JEE Advanced 2019 Information Brochure at the official website. The supernumerary seats for female candidates have been increased from 8% to 14% to improve the gender balance in the undergraduate programs at IITs. The detailed information regarding the changes in seat intake is provided in the information brochure provided above. Check out. Save the Calendar & Mark the Dates! Hope this article will play a crucial role to slake your queries. Still, if you any confusions, then please provide us a chance to resolve them. You may ask your queries in the comments section below & wait till our team replies you. Are You Doing Your JEE Advanced Preparations Right? 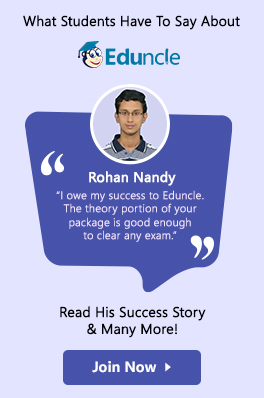 Talk with Exam Experts & Boost Your Preparations. 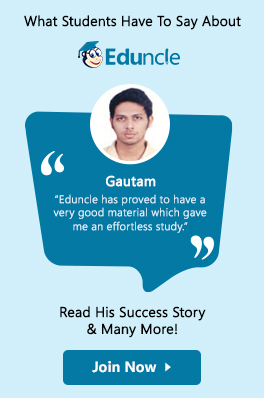 Join Eduncle.com for Free Counselling. Are you seeking for these? To keep your interest for the exam alive, please join us on our social media networks Facebook & YouTube. There you can get the daily dose of Quizzes, Brain Teasing Puzzles or Some Useful Updates that can help you throughout your preparation journey. All the Best Folks! Stay Tuned!